I will not explain you how you install the vCSA ... because with the new guided installer this is as easy as pie (Good job, VMware!). However, in the installation wizard there were two things that got me thinking immediately: You need to define sufficiently complex passwords for the local root user of the appliance and the SSO admin, and there is an option to Enable ssh in the Networking section. Both are security related for sure, but there is more to it. Nevertheless (just like with ESXi) you can still enable and use shell access to the vCSA, either by pressing Alt-F1 at the console, or - way more comfortable - by enabling ssh for remote shell access. If you have not already done this in the deployment wizard then you can also enable ssh in the customization menu (F2) at the console (see Troubleshooting Mode Options) or in the vSphere Web Client (buried in System Configuration / Nodes / Manage / Settings / Access). 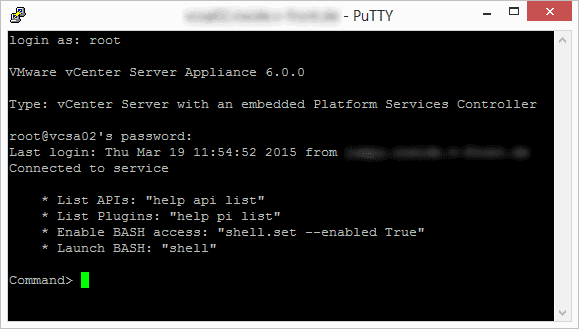 The appliance shell exposes command line access to API functions that you can use for system configuration (network settings etc.) tasks - for a complete list use "help api list". The interface is extensible through plugins which include standard Linux commands like ps and top, but also real gems like vimtop and the Ruby VSAN Console rvc (use "help pi list" for a complete list). 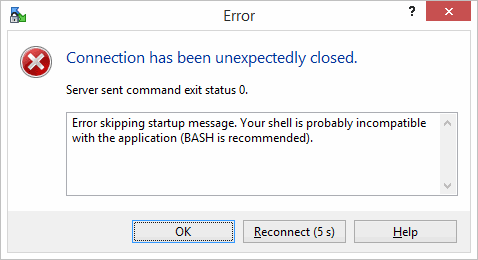 And there is also a plugin named shell that starts a standard bash shell. But it needs to be enabled first using the Troubleshooting Mode Options menu at the console (see above) or directly here with the CLI command shell.set like shown in the welcome message. What the welcome message does not show is the additional parameter --timeout of this command. By default the timeout is set to 3600s (= 1 hour), and that means that the shell command will be automatically disabled again after one hour. By the way you can watch the timeout counting down with the command shell.get. This will show you whether the shell is enabled and - if yes - how many seconds are left until automatic disablement. Please note that this counter will not be reset when the appliance is rebooted, so you need to use the above command really only once to get (somewhat) permanent bash access to the vCSA! There are few occasions where you need to upload files to the vCSA, e.g. for installing the Microsoft sysprep files for the vCenter Guest customization feature (as per KB1005593). You typically do this by enabling ssh like described above and then using a Windows tool like WinSCP (or scp for Linux users). Yes, WinSCP and also other scp based utilities expect a standard shell at the other end and cannot handle the appliance shell of the vCSA! There is a workaround for this that does not require any changes to the appliance: In WinSCP configure the vCSA connection to use the SFTP protocol (instead of SCP) and in the Advanced Settings of the connection enter "shell /usr/lib64/ssh/sftp-server" (without the quotes) to be used as the SFTP server. Are you aware of that the passwords of both the local root user and the SSO admin account have expiration dates set by default?! This is forgotten very often when new appliances are deployed ... Of course, from a security standpoint this is best practice, and there are environments where it is even required to have expiration dates on all passwords. But in lab environments this annoys lots of people and leads to confusion and unexpected issues whenever a password expires unexpectedly. By default the password maximum lifetime is 90 days. You can disable expiration completely by setting the value to 0. 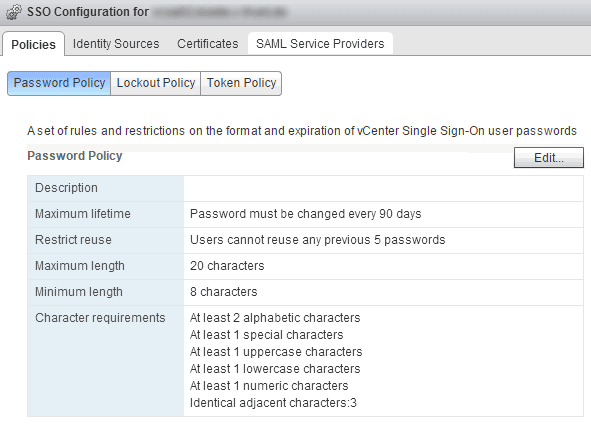 In this dialog you can also edit the password complexity requirements. I like to disable the "At least 1 special characters" requirement here, because - historically - there have always been issues with special characters in passwords like the one that is documented in KB2060746. Please refer to the man pages of pam_cracklib and pam_pwhistory to understand the meaning of the parameters in this file! I have updated the above mentioned post with this information. Please refer to it to learn how to trust this certificate and eliminate the SSL warnings in your web browser. Thanks for the tip on importing the CA root certificate, couldn't find this detail anywhere in VMware docs. Useful tips, especially the SSH config required. Thanks. Some very handy tips - VCSA 6 is the way to go for a lot of use cases now. Hi... Do you have a way to regenerate a certificate through CLI on VCSA 6.0? Hey, do you know where to find that link in Web Client to enable SSH. Cannot find it anywhere, and F2 doesn't work. Latest vCSA download from a week ago. since Update 1 the VAMI interface is back (on https://...:5480), and there you can enable SSH and configure shell access now. 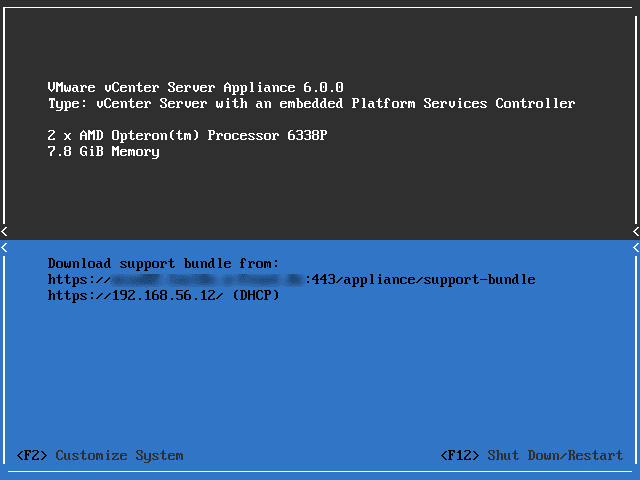 Do you know how can someone grant shell access to the VCenter Appliance 6 for a specific user / group? Only the root user can login via SSH and I haven't found any option that could enable other users too..
Good question. What is your use case? Do you want to log in with a local user or an AD user? I have my VCenter configured with LDAP. It would be nice if I could login with both, a local user and with an LDAP user. Thank you! This saved me from jumping through hoops to get a file onto the appliance. VMware doesn't recommend directly modifying pam. Then enter the pam setting there. Be careful as you can render the host unusable.